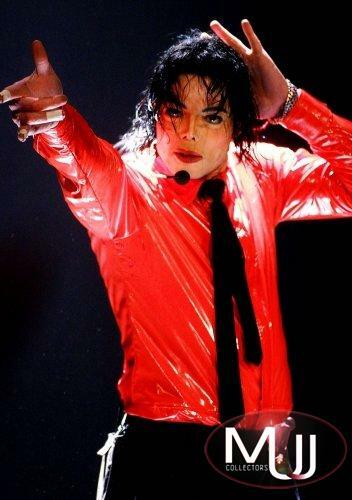 From JuliensAuctions.com: Custom red vinyl costume shirt with velcro closures and bodysuit style bottom with a sewn on black tie. Shirt shows evidence of wear and makeup residue at neck. A black wool single button front closure suit jacket with black silk lining and signature white silk armband on right sleeve. Together with a black wool fedora with black gross grain ribbon hat band with bow at left and custom tether at back brim to keep the brim curved upward at a sharp angle during performance. 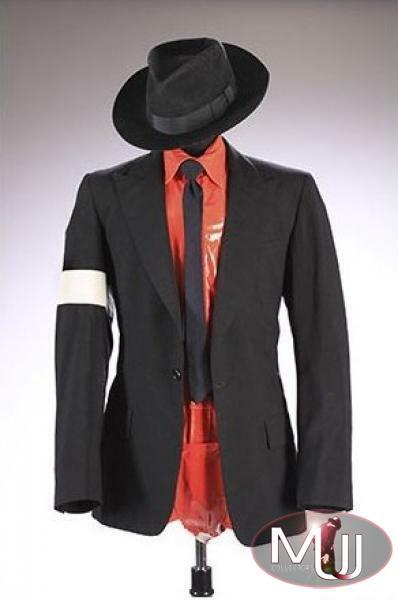 Both items were worn my Michael during his "Dangerous" performance at the "A Night At The Apollo" Democratic National Fundraiser on April 24th, 2002 (his last public performance in the USA). 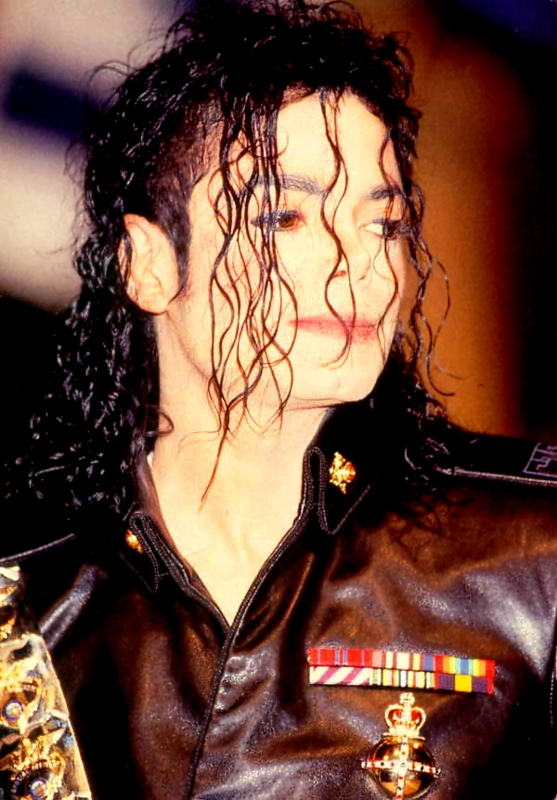 Michael performed the same song in a similar, but different outfit (the white arm band was absent) four nights earlier (April 20th) for the nationally televised American Bandstand 50th Celebration special on ABC. Michael gave these items to the fiancé of a colleague backstage with well wishes for their recent engagement. Sold by Julien's Auctions (Lot #353) for $209,100 at their 2009 Music Icons auction. All screen captures are the property of their respective owners.